Sony apparently had to beg third-party games developers to make games for the under-selling PlayStation 3 platform instead of migrating over to the successful Wii and Xbox 360 ones. That's according to Dean Takahashi at Mercury News in the US. "One piece of news that came out this week was that Sony pleaded with third-party developers not to abandon its struggling platform," Takahashi wrote on his blog. 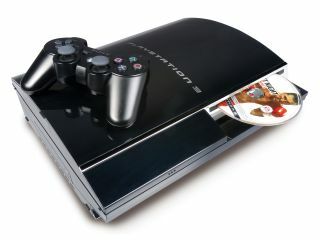 "The argument is that the PS3 will show its strength as developers learn how to make games for it. "But developers know they can staff four or five Wii teams with the same number of people it takes to make one PS3 game. We may have a glut of Wii games soon, but that's not as bad as not having enough games on the PS3." In September, both the Xbox 360 and Nintendo Wii broke through the 500,000 sales barrier in the US, while the PS3 could only manage 119,400 sales. The PS3 is starting to make a comeback, however. The latest figures suggest that Sony's console has overtaken the Xbox 360 for the first time.